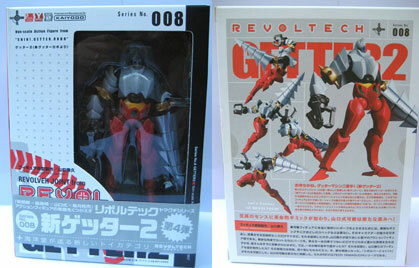 After reviewing Revoltech's Getter 1 and Getter 3, I guess it shouldn't be a surprise that there is going to be a review of Getter 2 in this site. 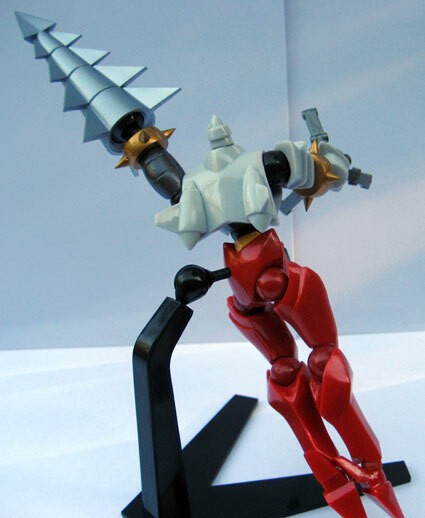 Getter Robo was created by Go Nagai in the 70's during the Giant Robot manga craze that swept Japan. The Getter Robo franchise tells the story of a hidden dinosaur kingdom under the earth emerging to take over the world. 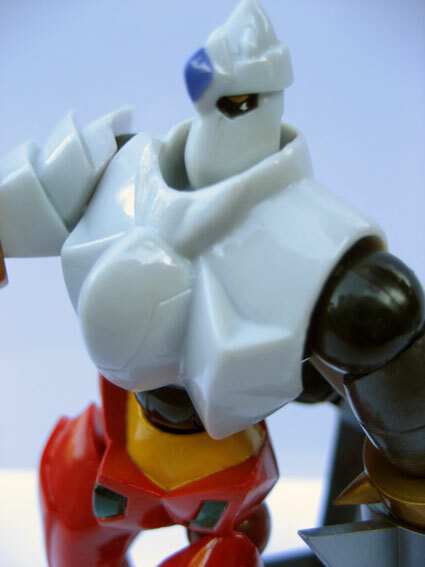 The Getter Robo was created by Dr. Saotome for the purpose of space exploration but because of the new threat, was drafted into service to protect the world. 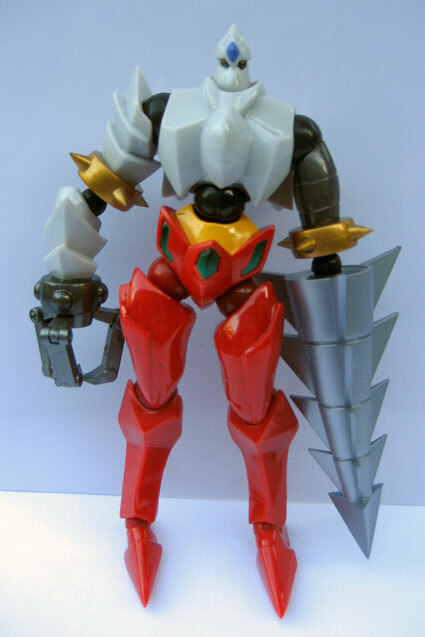 The Getter Robot was unique because it used Getter rays harvested from space to power it, hence also the name of the Robot. 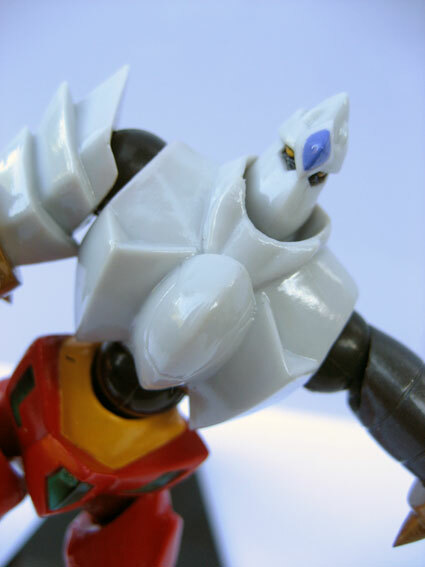 Due to the success of Getter Robo a sequel, Getter Robo G, was made with the same concept of 3 ships merging to form specialized robots to fight the enemy. Continuing where the original series left off, Getter Robo was shown being burned in a funeral pyre at the start of Getter Robo G to honor the loss of Getter 3 pilot Musashi. A retelling of the original Getter Robot franchise was done by Bandai Visual in 2004 via a 13 episode OVA. The concept of the series was almost the same as the original, along with some of the major characters. 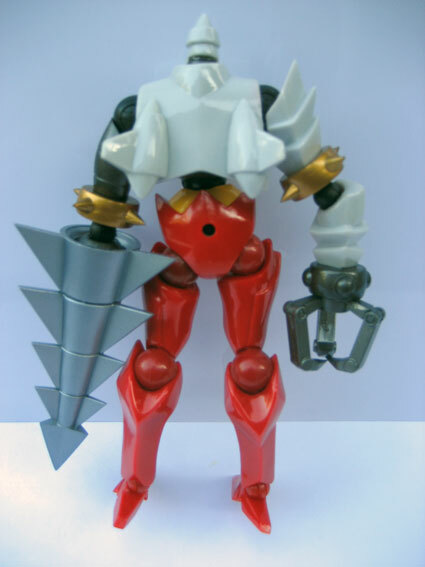 With the retelling, new designs for each Getter Robot was made. You can check out the video here. 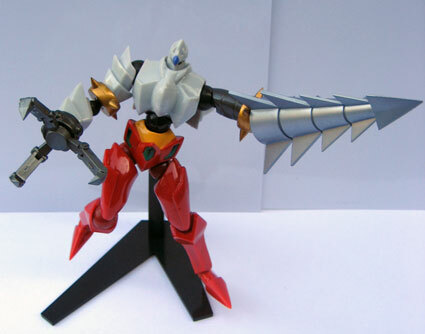 Of the 3 Getter Robots, Getter 2 is considered the fastest of the 3 Getter Robots and is easily differentiated by the presence of a large drill and claw in place of hands. The presence of a large drill in its arsenal almost always ensures that Getter 2 will get the assignment of tackling enemies who have a penchant for hiding beneath the earth. Getter 2 is piloted by the lean and brooding Hayato. 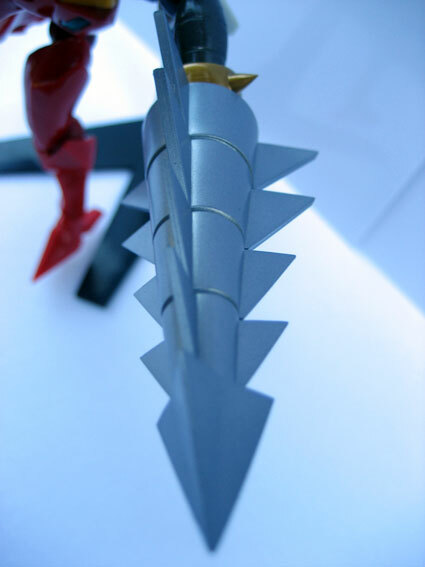 Getter Robo 2 was incorporated into the Revoltech line of Kaiyodo. 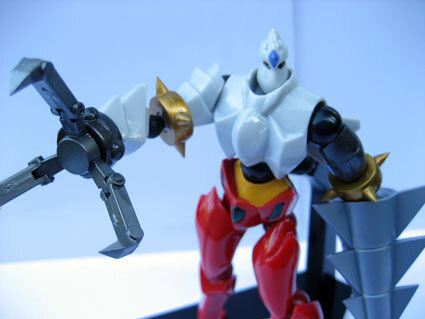 The toy was sculpted by Katsuhisa Yamaguchi and uses the unique joint system found in Revoltech models that allow for extreme posing. Getter 2 in New! 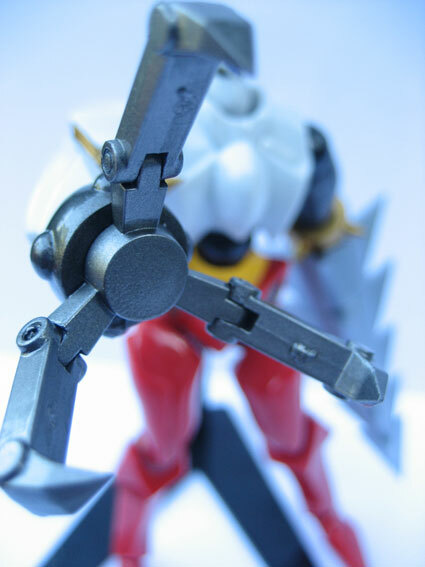 Getter Robo (Shin! 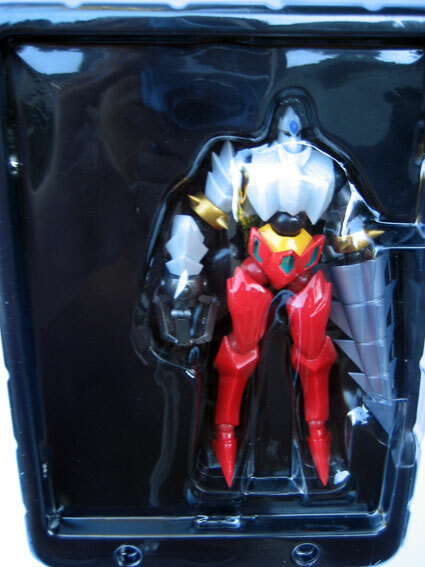 Getter Robo in Japanese) carries the spirit of the original Getter 2 in its design. The trademark Drill, Claw, pointed head, slit eyes and thin legs were carried over. Inside the box the figure is packaged in a two piece vacuum plastic case, with the top piece being transparent and the bottom piece being colored black. From the vacuum package one can clearly see that this toy is lacking in any accessories. The only accesory that comes with the toy is a stand, taped to the back of the black vacuum plastic base. 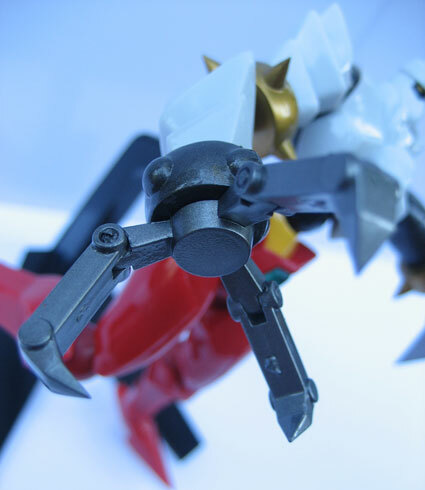 The iconic claw of Getter 2 can open and close. The 3 independent hooks that make up the claw can open separately. 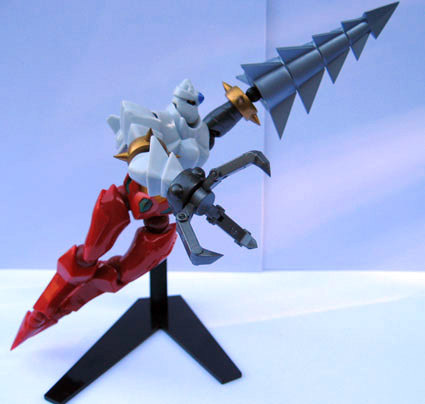 The staple giant drill of Getter 2 doesn't really spin since its mounted on a revoltech joint. Trying to spin it often would cause the joint to turn loose and would result in it falling off easily in the future. 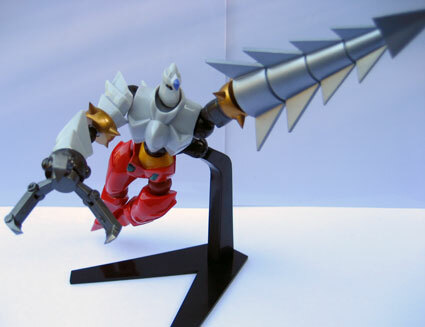 After having my time opening the first two Revoltech adaptations of Getter 1 and Getter 3, I have to say that I shouldn't have saved Getter 2 for last. I was disappointed with the features of Getter 2 after having been wowed by the first 2. Then again you can't really fault Yamaguchi-san for this because Getter 2 was really a boring robot to begin with for me. In the anime I liked Getter 1 the most and after that Getter 3. 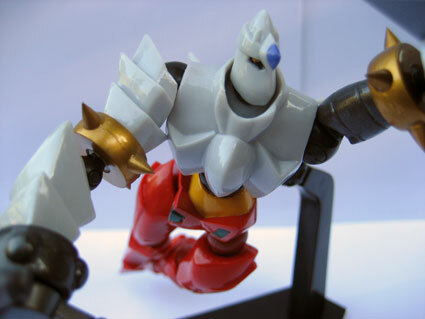 In terms of quality, Getter 2 suffered from the same paint nicks as the other Getter Robots I reviewed. A problem with quality control most likely.